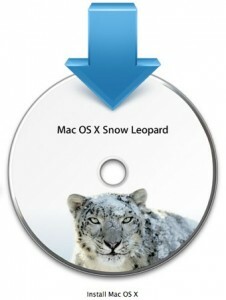 Snow Leopard came out on Friday (8/28) and since I had to go to the Apple Store to pick up a new Mag Safe power adapter for my MacBook Pro, I figured I’d pick up a copy of the OS X upgrade. At only $29, it was pretty hard to pass up. The install went fairly smoothly, even though it took about an hour for it to finish. I found that a little long, but my MacBook Pro is fairly old to today’s standards. Apple boasts some great new features like speed, 64-bit and 32-bit support, faster boot times, freeing up hard disk space, and other great refinements to make an already easy to use system, even easier. So I installed it and gave it a spin. As far as faster boot times, after it was done installing, I’d say the boot time was rather slow. I’m not sure if it was doing some post install stuff, but I wasn’t impressed. So I gave it another reboot to see if that was the case. It was. My MacBook went down and came right back up like an acclaimed prize fighter should. Definitely snappier than it was with OS X 10.5. So now I’m up and running, and my first impression is whoa! Its almost like I have a new MacBook Pro. Boot up is fast, starting applications is fast, Finder is super fast! Finder being faster was most impressive. Typically opening the Applications folder was a chore. I’m not sure what it was doing, but it was slow as heck. Not anymore. I haven’t even started using any of the new features they’re boasting about and its already paying off. The fact that I feel like I have a new system is totally worth the $29. This entry was posted in Apple on August 29, 2009 by bill.